If your committee wants to weigh in with alternatives on a subject, two hours allows for more interaction. It gives time for in-depth responses and time to explore alternatives. Topics like sponsorship programs and audience development techniques would fit into this time slot. Examples of past topics: Incorporating a mobile bidding processes. Properly setting up a Fund a Need, from what to say on stage to collecting the money with ease. A complete email marketing strategy. Building a sponsorship strategy. Format: Telephone or webinar. Must be used in one 2-hour period. Best for: Beginner to experienced committees. 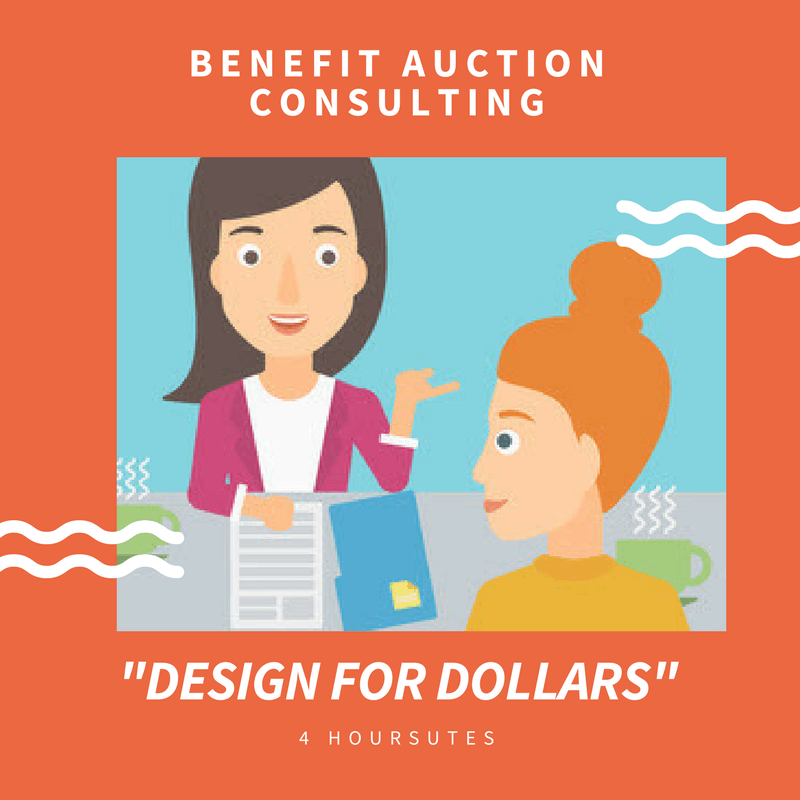 Though we can spend the time necessary to teach some ‘auction basics,’ you’ll get the most from this package if you have some auction experience. There’s not enough time to teach complete auction systems. Sherry, I just wanted to drop you a note to let you know that your advice during our consultation call last February really paid off! Our Galleon Party and Auction event was last Friday (April 2012) and we increased our gross profit by $34,000 this year. Our event really turned a corner this year and we have received many positive comments from our guests about the changes we adopted. It is true, small changes can have a dramatic impact on the income from your event. Five years ago our event was generating a net profit of around $30,000. We’re projecting a net income of around $70,000 this year so thank you for your great ideas and resources! Our non-profit gave Sherry Truhlar the challenge of a lifetime when we asked her for a consultation last spring. Our event is designed to raise money for our OB-GYN practice that sees any patient regardless of income or insurance. Forty percent of their patients are crisis pregnancy patients that have nowhere to turn. Over $500,000 is given away in “free” care every year but our gala is raising only about $250,000. Our gala is run fully by volunteers, many of whom are pregnant or have little ones filling their days. We know that every dollar we raise goes to these poor women so we are very stingy about our costs. Someone told us that meeting would Sherry would be worth the money and bring us great ideas for making more money so we finally agreed to try a consultation with her. As the Gala Chairwoman, I was especially nervous about this meeting – would people be upset that we spent this money just to “talk” to someone? The Challenge! We asked Sherry to meet with 10 of us and cover two pages of questions in her minimal consultation timeframe. We also had 15 kids and babies running, yelling and pulling us away from the table as she talked. At times, it was so loud in the room that we had to lean in to hear her. Our biggest concern was to find a software program that would fit our auction needs. Another was how to make our auction fun without it feeling corny. Imagine two pages of questions of this depth! Sherry won the challenge. 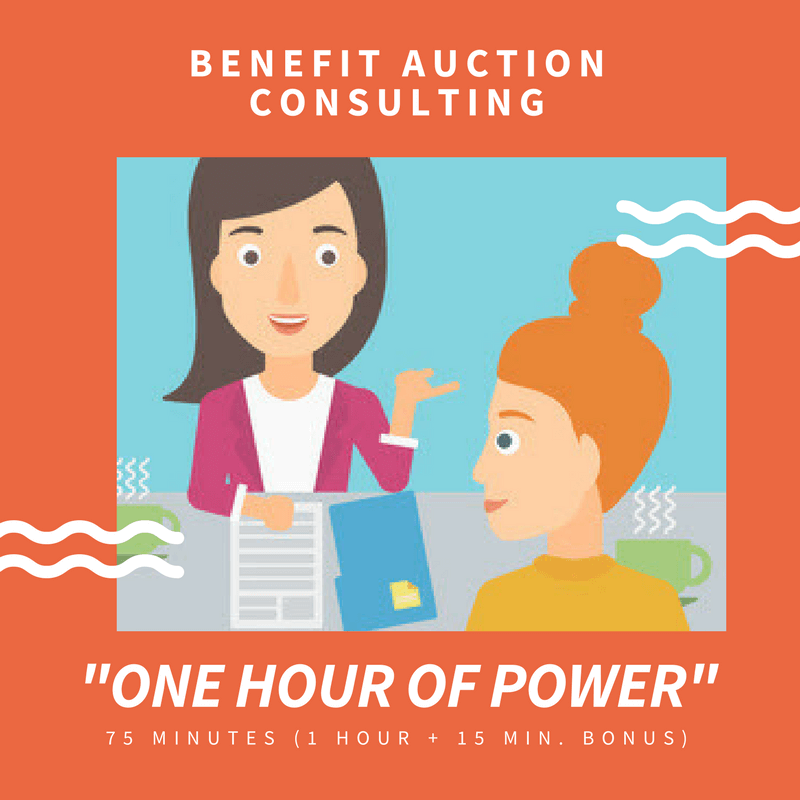 She popped through the questions with the ease and speed of – well – an auctioneer! She was able to stay on focus despite the kiddie chaos and gave us many good ideas without pressuring us into any one direction. She was friendly, likeable and able to pull lingering topics back on task with professional ease. 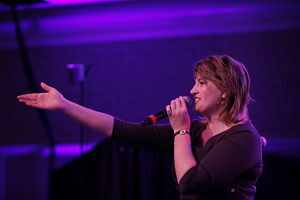 We especially liked that she didn’t try to upsell us or make us feel bad for not having her as our auctioneer. When the meeting time came to the end – our two pages of questions were checked off. We were fully out of questions. Wow. After she left, we all felt like we had certainly gotten our money’s worth. We were full of information, enthused with ideas to try and happy that Sherry was able to meet our challenge. We all agreed that, if she could handle a meeting like this in a room of screaming kids, she would be a great auctioneer for us someday. Meanwhile, we knew that we had a friend and a valuable source on our side who could pass our test. Thanks, Sherry! On behalf of our auction team, I wanted to thank you for meeting with us last night. We enjoyed your talk on procurement and we are fired up and ready to go after your ideas. This morning we got the PTA Chairs to approve the software agreement. I believe we can pay the full cost of the software with sponsorships. Well, as of this morning we have two more sponsors for our auction webpage. I didn’t even have any printed materials to show people—but they were willing to support our cause. We are all ready to take this auction to the next level!